^ 1.0 1.1 Robinson, Francis. The Cambridge Illustrated History of the Islamic World edited by Francis Robinson. Cambridge University Press. 1996: 228–229. ^ 4.0 4.1 Ibn Khaldun, Franz Rosenthal, N. J. Dawood (1967), The Muqaddimah: An Introduction to History, p. 430, Princeton University Press, ISBN 0-691-01754-9. ^ Joseph A. Schumpeter, Historian of Economics: Selected Papers from the History of Economics Society Conference, 1994, y Laurence S. Moss, Joseph Alois Schumpeter, History of Economics Society. Conference, Published by Routledge, 1996, ISBN 0-415-13353-X, p.64. ^ Hogendijk, Jan P. (January 1999), Bibliography of Mathematics in Medieval Islamic Civilization 互联网档案馆的存檔，存档日期2010-04-18. ^ A. I. Sabra. 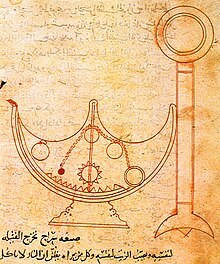 Greek Science in Medieval Islam. (编) Ragep, F. J.; Ragep, Sally P.; Livesey, Steven John. Tradition, Transmission, Transformation: Proceedings of Two Conferences on Pre-modern Science held at the University of Oklahoma. Brill Publishers. 1996: 20. ISBN 90-04-09126-2. ^ Salah Zaimeche (2003), Introduction to Muslim Science. ^ Lewis, Brenard. The Jews of Islam. Princeton University Press. 1987: 5–6. ^ Courbage, Youssef; Fargues, Phillipe. Christians and Jews under Islam. London: I.B. Tauris Publishers. 1995: ix–x. ISBN 1-86064-285-3. ^ Nasr, Seyyed. Science and Civilization in Islam. Harvard University Press. 1968: 41. ^ Lagerkvist, Urf. The Enigma of Ferment: from the Philosopher's Stone to the First Biochemical Nobel Prize. World Scientific Publishing. 2005: 32. ^ Lindberg, David. Science in the Middle Ages. The University of Chicago Press. 1978: 23,56. ^ Selin, Helaine (编). Encyclopaedia of the History of Science, Technology, and Medicine in Non-Western Cultures. Kluwer Academic Publishers. 1997: 151, 235, 375. ^ Linton (2004), p.97). Owing to the unreliability of the data al-Zarqali relied on for this estimate its remarkable accuracy was somewhat fortuitous. ^ Masood, Ehsan. Science and Islam A History. Icon Books Ltd. 2009: 73–75. ^ Dallal, Ahmad. Islam, science, and the challenge of history. Yale University Press. 2010: 12. ISBN 9780300159110. ^ Saliba, George. Seeking the Origins of Modern Science? Review of Toby E. Huff, The Rise of Early Modern Science: Islam, China and the West. Bulletin of the Royal Institute for Inter-Faith Studies. Autumn 1999, 1 (2) [2008-04-10]. （原始内容存档于2008-05-09）. Hobson, John M. The Eastern Origins of Western Civilisation. Cambridge University Press. 2004. ISBN 0-521-54724-5. Hudson, A. Equity and Trusts 3rd. London: Cavendish Publishing. 2003. ISBN 1-85941-729-9. Huff, Toby E. The Rise of Early Modern Science: Islam, China, and the West. Cambridge University Press. 2003. ISBN 0-521-52994-8. Levere, Trevor Harvey. Transforming Matter: A History of Chemistry from Alchemy to the Buckyball. Johns Hopkins University Press. 2001. ISBN 0-8018-6610-3. Masood, Ehsan. Science and Islam A History. Icon Books Ltd. 2009. Morelon, Régis; Rashed, Roshdi. 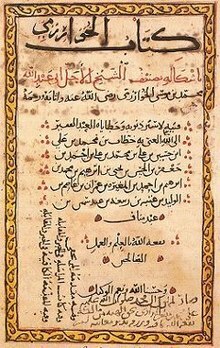 Encyclopedia of the History of Arabic Science 3. Routledge. 1996. ISBN 0-415-12410-7. Saliba, George. 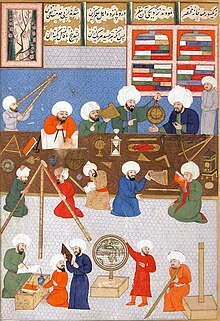 A History of Arabic Astronomy: Planetary Theories During the Golden Age of Islam. New York University Press. 1994. ISBN 0-8147-8023-7. Turner, Howard R. Science in Medieval Islam: An Illustrated Introduction. University of Texas Press. 1997. ISBN 0-292-78149-0. Daffa, Ali Abdullah al-; Stroyls, J.J. Studies in the exact sciences in medieval Islam. New York: Wiley. 1984. ISBN 0-471-90320-5. Huff, Toby E. Science and Metaphysics in the Three Religions of the Books (PDF). Intellectual Discourse. 2000, 8 (2): 173–198. （原始内容 (PDF)存档于2012-03-16）. Kennedy, Edward S. The Arabic Heritage in the Exact Sciences. Al-Abhath. 1970, 23: 327–344. Kennedy, Edward S. Studies in the Islamic Exact Sciences. Syracuse University Press. 1983. ISBN 0-8156-6067-7. Morelon, Régis; Rashed, Roshdi. Encyclopedia of the History of Arabic Science 2–3. Routledge. 1996. ISBN 0-415-02063-8. Saliba, George. Islamic Science and the Making of the European Renaissance. The MIT Press. 2007. ISBN 0-262-19557-7. Nasr, Seyyed Hossein. Islamic Science: An Illustrated Study. Kazi Publications. 1976. ISBN 1-56744-312-5. Nasr, Seyyed Hossein. Science & Civilization in Islam 2nd. Islamic Texts Society. 2003. ISBN 1-903682-40-1. Suter, Heinrich. Die Mathematiker und Astronomen der Araber und ihre Werke. Abhandlungen zur Geschichte der Mathematischen Wissenschaften Mit Einschluss Ihrer Anwendungen, X Heft. Leipzig. 1900. Deen, S M. Science Under Islam: Rise, Decline, Revival. LULU. 2007. ISBN 978-1-84799-942-9. Saliba, George. 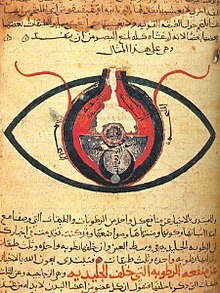 Whose Science is Arabic Science in Renaissance Europe?.